Justin Bieber has been left behind by the Instagram Rapture. The "Baby" crooner lost a whopping 3.5 million followers after Instagram purged all the spam and deadweight from its site this week. 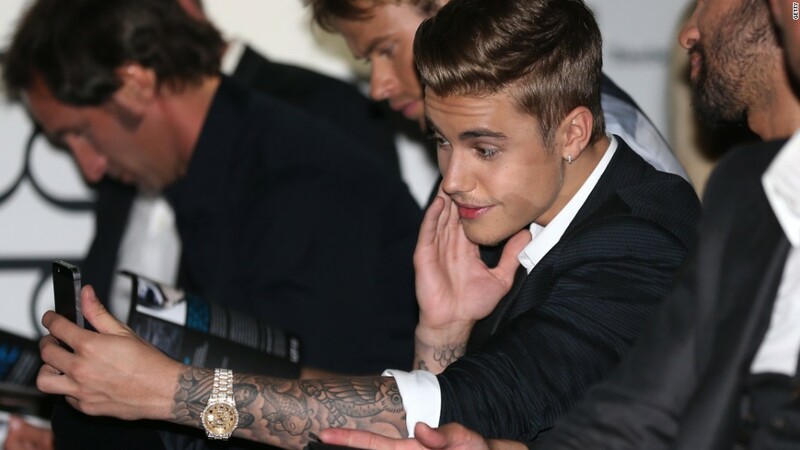 Fake accounts comprised nearly 15% of Bieber's Instagram following. Instagram went after spam in a major way this week, deleting millions of fake accounts in what has become dubbed the "Instagram Rapture." It turns out that the celebrities on the Internet are not as famous as we thought. Some of the biggest names in show business shed the largest numbers of fake followers on Instagram, with the Bieb leading the way, according to data compiled by Zach Allia, a software developer. Ariana Grande -- you've heard of her -- lost 1.5 million followers, or 7% of her total. Kim Kardashian barely qualifies as being famous anymore, after Instagram shed all her fake bits, losing 1.3 million followers, or 5.5% of her total. Rihanna, perhaps better known as badgirlriri, also lost a ton of fake weight, shedding more than 1.1 million followers, or 8% of her total following on Instagram. Taylor Swift fared better than a lot of her fellow celebs, losing a mere 725,000, or 4.4%. And Selena Gomez, the Bieb's on-again, off-again girlfriend, lost 1.1 million Instagram followers, shedding 5.7% of her weight. Justin Bieber lost his shirt - and about 3.5 million fake followers - in the Instagram Rapture. While the Bieb was hard hit, Instagram itself was the biggest loser, shedding more than 18.8 million followers, or nearly 30% of its total, in the culling. The social media site, owned by Facebook (FB), announced last week that it has 300 million users -- not including all the spam it eliminated. Celebrities use to promote their brands and advertise sponsors that endorse them. Accounts with large numbers of followers can score big bucks from advertisers.